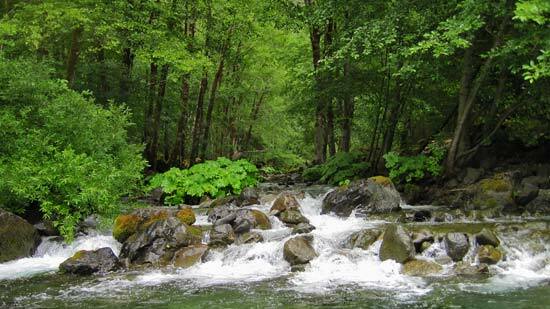 The temporary withdrawal of 17 miles of the Wild and Scenic Chetco River is proving highly successful. The river has not been subject to large scale instream suction dredge mining. The public has not had to pay for the Forest Service to prepare an environmental impact statement for the proposed mining on the existing claims. To date no mineral exams to determine "valid existing rights have been required." Of the 12 existing claims on the river when the 2 year segregation went in place, only to mining claims remain. The bad news is that the July 26, 2013 Secretarial withdrawal is only good for five years - so the respite from the threat of large scale instream mining is is temporary. Read more about the successs of the mineral withdrawal. 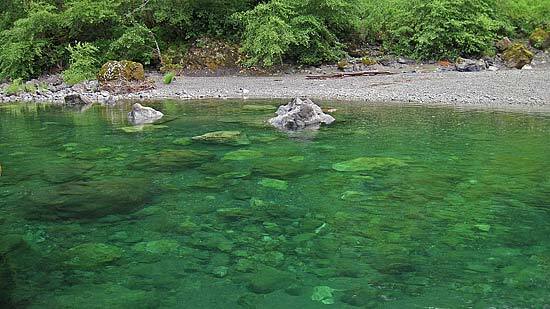 Crystal clear pool on the Chetco River which would have been subject to mining. (Ann Vileisis Photo). The Secretary of Interior's five year mineral withdrawal has been in place one year. There is no mining on the Chetco River. No valid existing rights determinations have been required. However, the legislation to make the closure of 17 miles of river to mining permanent has not been passed by Congress. So the clock is ticking on the five year withdrawal. It was a close call with the two year segregation expiring on July 31, 2013. 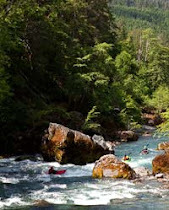 But on July 26, 2013, the Secretary of Interior signed a public land order temporally withdrawing the 17 miles (5610 acres) of National Forest lands (outside the Kalmiopsis Wilderness) on the Scenic and Recreational Section of the National Wild and Scenic Chetco River. Read more about the five year mineral withdrawal. During the almost four month long public comment period for the proposed temporary withdrawal-in-aid-of-legislation for the Scenic and Recreational sections of the Wild and Scenic Chetco River, the agency received over 11,800 comments in support of the withdrawal. There were only 6 comments opposing it. The BLM estimated that approximately 75% of the comments were from Oregon. At the local hearing in Brookings, 90% of those who spoke supported protecting the Chetco River from mining through the mineral withdrawal. The confluence of Boulder Creek with the Wild and Scenic Chetco River (Ann Vileisis Photo). On August 1, 2011, the Bureau of Land Management published a notice in the Federal Register that segregates (a temporary withdrawal) approximately 17 miles (5,610 acres) of National Forest land within the existing boundaries of the National Wild and Scenic Chetco River from location and entry under the Mining Laws of the United States. See Forest Service map of proposed withdrawal area and the Forest Service's Press Release explaining the withdrawal and announcing the time and place of the Wednesday, October 26th public meeting in Brookings. The two year segregation period provides opportunity for the public to comment on the Forest Service's proposal to withdraw the 5,610 acres—the Wild and Scenic corridor of the river from Boulder Creek downstream to the Forest Boundary—for a period of five years. The purpose of the withdrawal is to provide congress with time to consider legislation (the Chetco River Protection Act) to provide greater protection for this world-class salmon and steelhead river. The withdrawal applies only to National Forest lands and does not affect private land in the corridor. The effects of a mineral withdrawal are often misunderstood or misrepresented. Withdrawals from the Mining Law prevent the location of new mining claims and requires the holders of existing claims to demonstrate they have a right to mine under the Mining Laws. If they have a prior existing right, the withdrawal will not prevent mining. In other words, withdrawals will not affect a mining claim that is valid and complies with the laws of the United States. Mineral "location" is "the act or series of acts whereby the boundaries of [a] claim are marked. "Cole v. Ralph, 252 U.S. 286, 296, 40 S.Ct. 321, 64 L.Ed. 567 (1920). "Mineral entry" refers to "[t]he right of entry on public land to mine valuable mineral deposits." Black's Law Dictionary (8th ed.2004). A withdrawal "in aid of legislation" is one "for a specific use then under consideration by the Congress." 43 U.S.C. § 1714(d)(3). 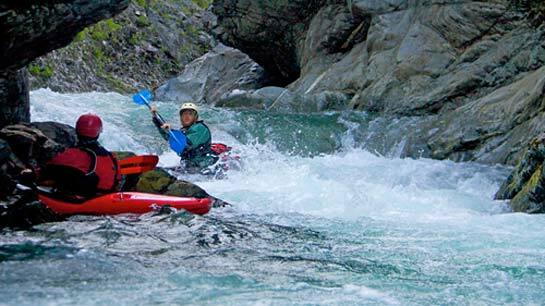 Read about the Chetco River Protection Act. Until there is meaningful reform of the 1872 Mining Law, mineral withdrawals provide the best avenue to provide greater protection for lands that are valuable for purposes other than mining. Without mineral withdrawal, it's Forest Service policy to "assume" there's a right to mine under the archaic Mining Law—even on a National Wild and Scenic River like the Chetco. Authority for the proposed withdrawal of the Chetco is found in the 1976 Federal Land Policy and Management Act. Read the Bureau of Land Management's explanation of the "valid existing rights determination." Scroll down to the bottom of the page. To read more about the 1872 Mining Law go to Southwest Oregon Mining Facts and Understanding the 1872 Mining Law and The 1872 Mining Law: The real land grab.